Bourjois actually owns Chanel and it is NOT the other way around. 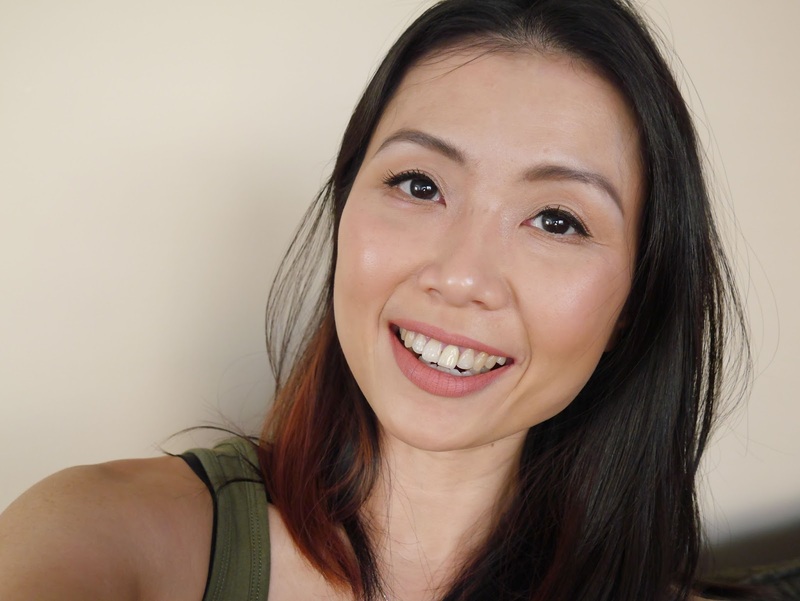 I did it, yes, I went crazy and applied different foundations on each side of my face all in the name of blogging. Hubby rolled his eyes to the back of his head but that did not deterred me. What better way to really see the differences between these two foundations, no? Unfortunately for me, the picture does not show the differences between these two foundations...I desperately need to improvised my photography skills. Let's talk about Chanel...this foundation without a doubt is lovely and it definitely worth the price (MYR160.00) that I paid for. The texture is light, almost watery and you must give the bottle a good shake before using. Coverage wise is light but can build up to medium. I still need to use concealer, using an extra layer of this foundation does not cover my dark circles. While the SA assured me that this foundation gives a light, radiant finish, it was not so on me. On the contrary, it has a matte and almost powdery finish on my face. You could clearly see that I am using foundation. It is slightly heavier than my liking but it is the perfect foundation when I have a dinner date. The one thing that I do frown upon about this foundation is the scent. I understand the fragrance gives this foundation a more luxury feel to it but it's a little strong for my liking. Worse still, it actually lingers for a good couple of minutes. I swear there was a couple of time I felt a headache was on its way after using this foundation. Now let's get down and dirty with the business, Bourjois Healthy Mix Serum (reviewed here) vs Chanel Vitalumiere Aqua which one did I prefer? Hands down, Bourjois Healthy Mix Serum is the winner of this round. Unlike Chanel VA, Bourjois HMS did not sit on my face. It is the perfect 'my skin but better' foundation which I am a huge fan of. It also gave a beautiful fresh dewiness that Chanel VA did not. Due to the slight powdery finish that Chanel VA gives my skin, I can actually see my pores (eekkk!) while on the other hand, Bourjois HMS minimizes it. But the biggest factor in why I prefer Bourjois is the scent. The berry fruity scent that Bourjois HMS has is pleasant and not intruding like Chanel's. Now I know this seems like a Chanel foundation bashing post but trust me, in no way am I saying Chanel VA is not a good foundation. It is a brilliant foundation and I honestly do love it but it is more suited for a night time use for me. Hope you enjoy my first drug store vs high end post, I will try to create more of these posts but it probably will be rare as I am more of a drugstore girlie. Till next post, luvs and hope you have a brilliant weekend!